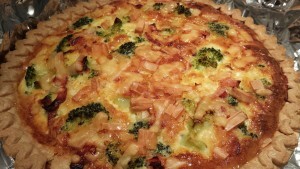 Broccoli Ham Smoked Gouda Quiche. 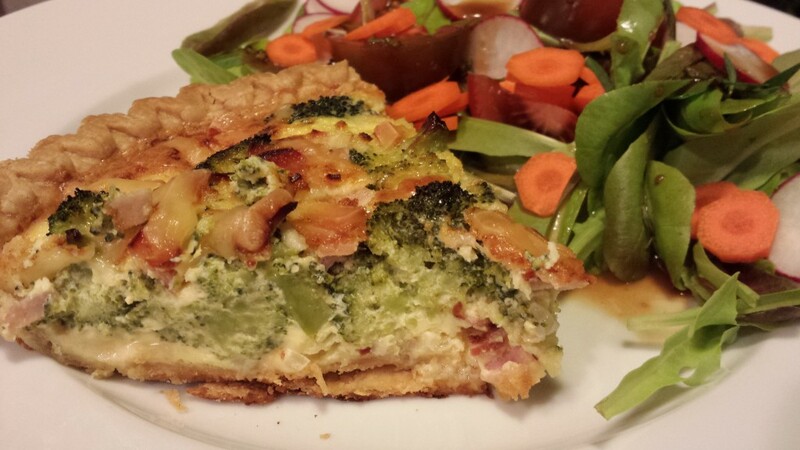 This quiche is a version of my Brown Sugar Ham and Swiss Quiche that was my first recipe for this site! 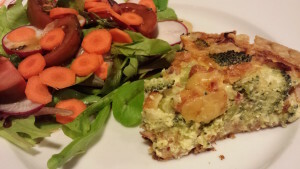 It’s basically the same ham and swiss quiche with smoked Gouda cheese substituted for the swiss cheese and broccoli florets added to the filling. The pretty green color might actually get your kids to eat their broccoli. You can eat this quiche hot, cold, or at room temperature. 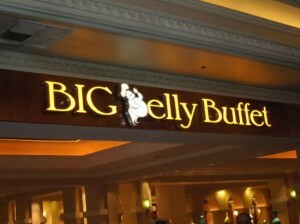 Use it as the star of a brunch buffet along with a Fresh Fruit Platter. There appear to be a lot of steps in making this quiche. Trust me. The labor is worth it! Here’s how: Use a store-bought frozen pie crust or make your own crust. Bake the pie crust (if frozen, let it sit at room temp for 10 minutes first) for a few minutes with parchment and pie weights so the crust doesn’t bubble up. When the pie crust has baked slightly, remove from the oven. Remove the parchment and pie weights. Blanch some broccoli florets and plunge them into ice water. Whisk together eggs, creme fraiche, salt and pepper. Use plain Greek yogurt if you can’t find creme fraiche. 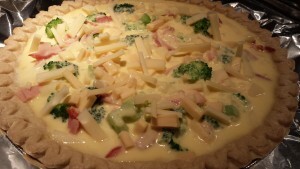 Sprinkle some shredded smoked Gouda cheese, diced ham, and minced onion over the pie crust bottom. Add half of the broccoli florets. Pour the egg mixture over the ham and broccoli. Sprinkle more shredded smoked Gouda, ham, onion, and the rest of the broccoli over the egg mixture. Cover the edges of the pie crust with foil so it doesn’t burn. Bake the quiche at 400 degrees Fahrenheit for 40 minutes or until the filling is set and browned on top. Remove the foil covering the crust about 10 minutes before the quiche is done so the crust will brown nicely. Remove from oven and let sit for a few minutes before cutting into slices. And serve! Offer this quiche with a garden salad with my Roasted Walnut Oil Dressing, my Minty Fruit Salad, or a plate of sliced ripe tomatoes dressed with olive oil and herbs. 2. Remove pie crust from freezer, let sit for 10 – 15 minutes at room temperature, then poke holes in bottom of crust with fork. 3. Cut a piece of parchment paper to cover the pie crust’s interior/bottom, add pie weights or dry beans to cover so that crust doesn’t bubble up during baking. 4. Cover crust edges with aluminum foil so crust doesn’t prematurely brown. 5. Bake crust for 8 minutes at 400 degrees on a cookie sheet. 6. While pie crust is baking, heat some water to a boil in a deep sauce pan. 7. When the water is boiling, add the broccoli florets. 8. Cook the broccoli florets for about four minutes. 9. While the broccoli is cooking, in a large bowl, add 10 ice cubes and water to fill the bowl 3/4 full. 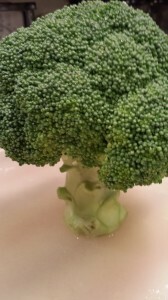 Then drain and plunge the broccoli florets into the ice water. Let sit for a few minutes and then remove the broccoli from the ice water. Set aside. This is called “blanching” and will help to maintain the broccoli’s bright green color during baking. 10. When the pie crust has baked for 8 minutes, remove it from the oven. 11. Remove pie crust from oven. 12. Remove foil coverings, pie weights or dry beans, and parchment paper. 13. Whisk together in a bowl: the eggs, crème fraiche, salt, and pepper. Add milk to thin if too thick, but be careful as too much liquid/stirring can thin the mixture. 14. Sprinkle half of the smoked Gouda cheese over the bottom of the pie crust. 15. Repeat with half of the ham, onions, and broccoli. 16. Pour the egg mixture over the cheese, ham, onions, and broccoli. 18. Cover the pie crust edges with foil again, being careful not to dip the foil into the egg mixture. 19. Place on the cookie sheet and bake 40 minutes, removing the foil covering during the last 10 minutes of baking. Bake until center is set, crust has browned, and filling is puffy. 20. Remove from oven and let sit for 5 – 10 minutes before cutting and serving. 21. Garnish with parsley or an orange slice. Serves 6 for a main course. Serve the quiche warm from the oven. 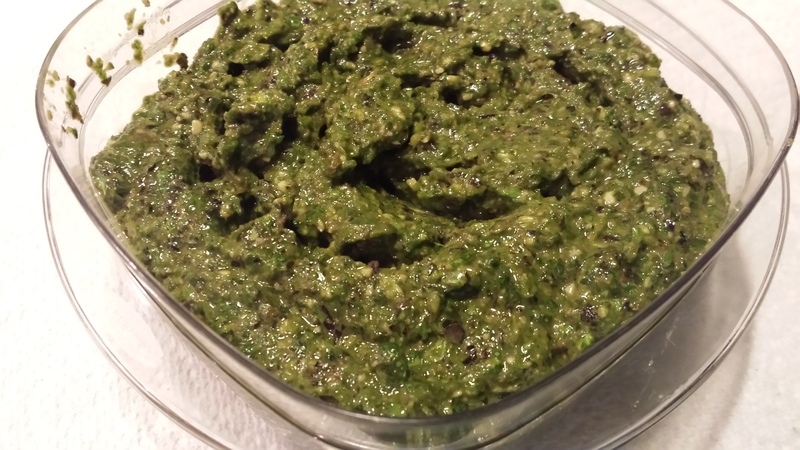 Accompany with a green salad or a fresh fruit salad. Also appropriate served cold or at room temperature depending on your preference. 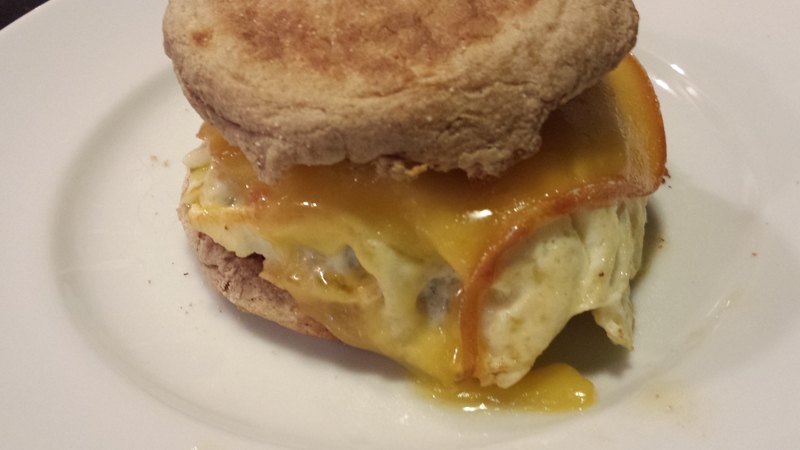 Variations: Use a different cheese other than Swiss. Goat cheese chunks, shredded sharp cheddar or Swiss, or creamy Havarti cubes all work well. 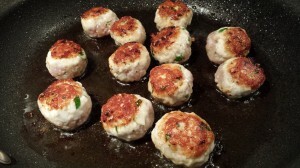 Omit the ham and add some finely chopped cremini mushrooms for a vegetarian version.